BonBon Bombay is taking some time off to be with her man, (it’s a long distance relationship), but has set aside two nights of incredible shows!!! 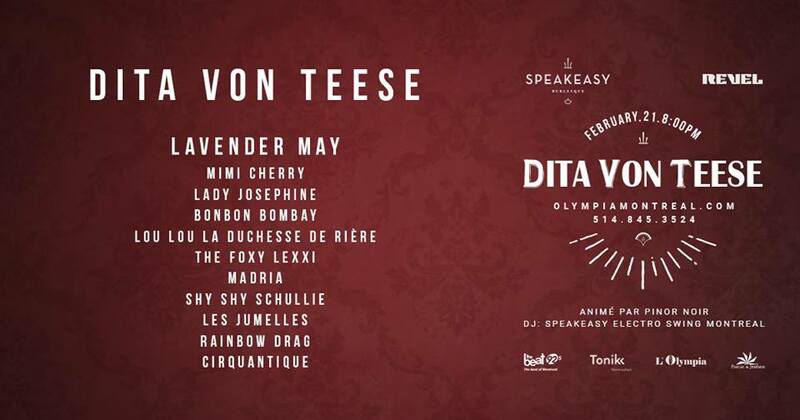 February 21st- The best of the best UNITE with Dita Von Teese at L’Olympia, in Montreal. This show is not to be missed and will definitely sell out fast! So get your tickets now! February 27th- FREAKSHOW!!!! With BonBon Bombay and her freaky troupe The Blue Mushroom Sirkus Psyshow!!! You are in for a treat all night long!